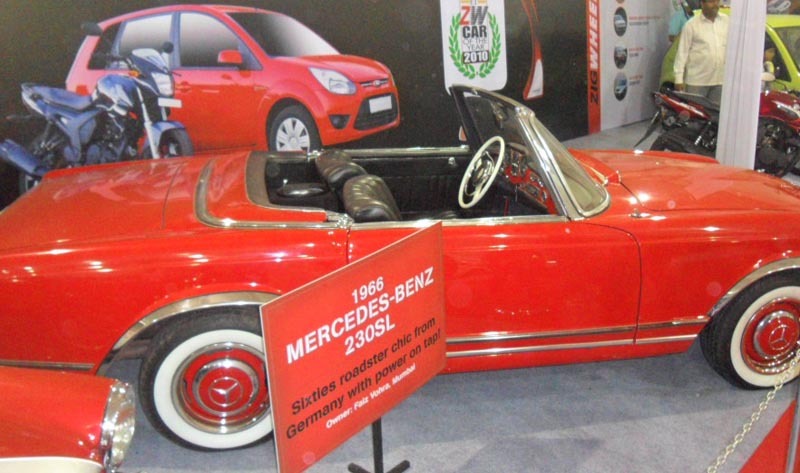 As promised, here comes the first section, Vintage cars of Mumbai International Auto Show. I have never been a fan of vintage cars but then they are the skeletons in the evolution process of the automobile history and so cannot be ignored. We, as the new generation have been born directly into the common rail or fuel injection field but then there are many which started their journey with carburetors and smoky diesel engines. As far as vintage goes, it cannot be more vintage than the 1914 Ford Model T. This was the car that started the automobile revolution for the modern world and it is a good thing to know that there are some people who have still preserved this car. A Mumbaite for this matter, Parvez Vohra has been credited to owning this car. It featured that handcrank mechanism which is actually unimaginable now. I didn’t get a chance to speak with the gentleman himself, if he still drives this car or not but then it looked in a fairly good condition. Its sequel, the 1924 Ford Model A was the next car which caught my attention and made me think of about all those old era English movies I had watched. It looked in a very good condition and really tempting. It is owned by a certain Niloufer Eapen. Next in line was a 1936 Lancia Sports model. This one didn’t have the hand crank mechanism or even if it did, was hidden from view. Harit Trivedi from Mumbai owns this old beauty. The race car like seating mechanism didn’t cut mustard with me but then back in those times, there may be millions who would have loved those. It had Standard Swallow and Lancia components. There was also a vintage Dodge car on display with a rusted tail pipe(obviously). The attractive styling elements in it were the barrel shaped tail lamps flanked by wing like structures. The extra long car however had only 2 doors. There was a Mercedes Benz 230 SL roadster which was from the 1966 batch. It had those igloo shaped head lamps with that wide Mercedes grille and the 3 pointed star. It belonged to Faiz Vohra and if sources are to be believed, regularly driven as well. A modified Premier Padmini car was also at display. This one, even before looking at its credentials, I was sure was courtesy BS Motoring. They had mentioned in their magazine as well about this modification that they were planning to carry out. Now, this was the kind of car, though not vintage, which showcases the power of modifications in the Indian market. Rolls Royce also announced its presence in the vintage section with an eerily number plated car. The number plate had the initials as BMW. 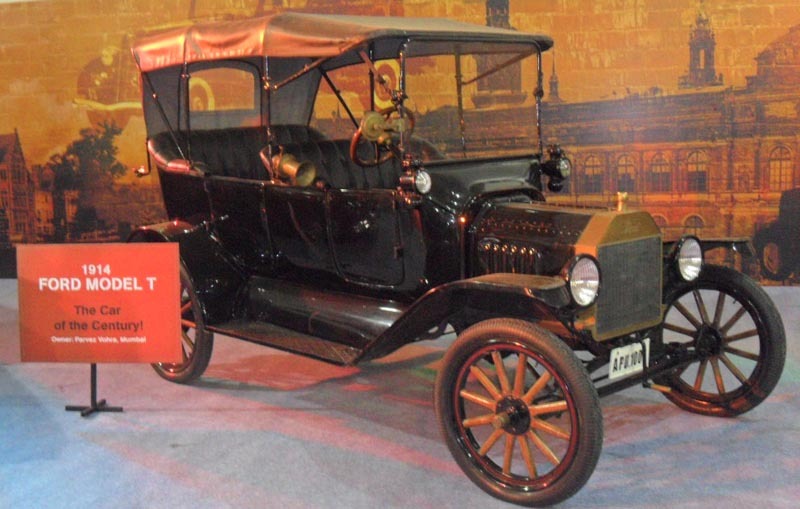 Well, that was all regarding the Vintage cars that were available as an eye candy in the Mumbai International Auto Show 2011. Next PostNext Who’ll Pay For Those Diesel Vehicles?